Germany´s jet set island. Tres chic. Beautiful (besides Westerland). Always threatened to get completely swallowed by the noth sea during winter gales. It´s f#*~in´ expensive to get there. It´s unbelievable expensive to stay there. On good days it can be well worth the money. Access to the island with Your own car is only possible by train via the Hindenburg dam or by ferry from the neighbouring danish island Romo, which is a little bit less expensive. If You´re not rich You should only go, if You plan to stay at least a couple of days. Surfers can take their board on the train and go there without car. From the main station in Westerland You can walk to the beach with Your board under Your arm. This is a good option for a surfing day trip. The island is about 25km long and never wider than 1km. Westerland is the main town and hosts a lot of hotels, bars, shops and a casino. It is also the location for the annual windsurfing wourldcup in late september which already runs since 25 years. Then the town mutates to a big party scene. The rest of the island is realy beautiful with a lot of dunes and endless beaches. The north sea coast runs in a straight line allmost exactly from south to north. Every Year it loses more sand to the raging winter seas. 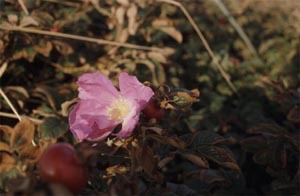 The east coast faces the Watt, a shallow basin which falls almost dry with low tide. This is a natural preserve and home to many amphibic animals. 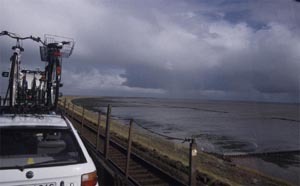 windsurf: the predominantly westerly winds come full onshore at the north sea coast. You´ll either have to battle heavy shorebreaks with no wind under land and big waves on the outside sandbars or You can go to the Ellbogen and have some flatwater fun. 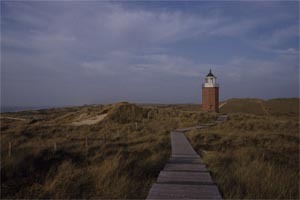 South to southwest and northwest to north offer good wavesailing for the experienced at Westerland, Rantum and Sansibar. Winds from the east only work at the Watt or again at the Ellbogen. surf: can get pretty good at Westerland and Kampen. Definitely the best surfing place in this part of the north sea. 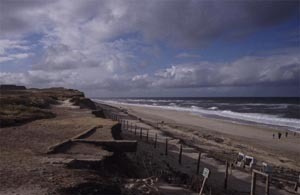 Sylt has the longest history of surfing in Germany, starting back in the seventies. Kite: conditions similar to the the ones described under windsurf. The Ellbogen is a very good place to go for advanced beginners as the water is very shallow there and the beaches are wide. bike: the island is flat as a pancake but there are some nice roads for a relaxed bike ride.